limbs. This increases his moment of inertia and he enters the water surface at a gentle speed. 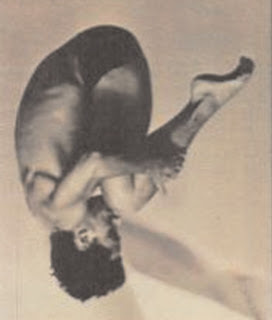 Thus by using simple physics he could make the somersault possible despite having extremely deep injury over his head and shoulder. In 1988, Greg Louganis of the united states, arguably the greatest Olympic diver in the history, cracked his head on the springboard while attempting a reverse 2.5 pike. 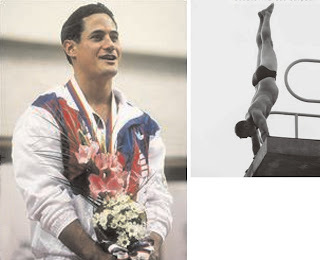 After receiving stitches, Louganis won the gold medal in diving.